Please use our olympus camera battery finder to check which battery you need. 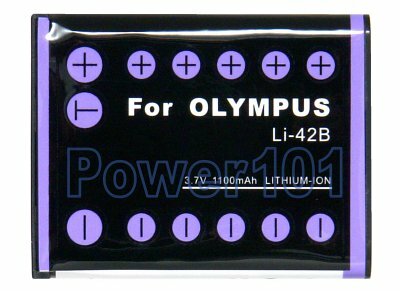 Rechargeable Li-Ion battery for Olympus LI-40B and LI-42B. 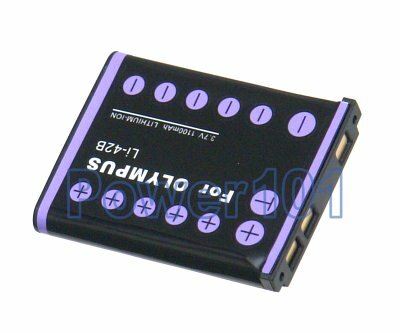 This battery is compatible with a large number of Olympus, Nikon and Pentax cameras. Some of the compatible models are: Olympus µ (mju) 700, 720, 725, 730, 740, 750, 760, 770, 780 Olympus CAMedia D-630, X-600, Olympus FE-160, FE-190, FE-220, FE-230, FE-240, FE-250, FE-5500, IR-300, SP-700, Stylus 700, Stylus 710, Stylus 720, Stylus 725, Stylus 730, Stylus 740, Stylus 750, Stylus 760, Stylus 770, Stylus 780, Tough 725, Tough 770, X-600, X-785, X-790, X-795, X-800, Nikon CoolPix S200, S500, Pentax Optio M30, T30, W30. If you have a different camera, please check our camera compatibility list to find which battery you need. This battery can be charged by any standard charger compatible with Olympus LI-42B battery, such as the charger that comes with your camera.